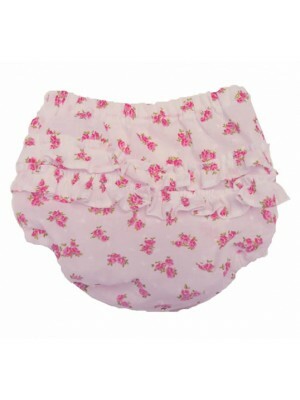 Baby knickers with cute frills on the back and an elasticated waist and legs. Look great with our Jasmine pinafore dress (designed for age 3m to 1 year) Fabric Content – 100% Cotton Garment Care – Cool machine wash ..
A gorgeous pair of frilly knickers with soft elastic and the waist and legs. Matches perfectly with our Jessica and Poppet dress. Fabric Content – 100% Cotton Garment Care – Cool machine wash .. 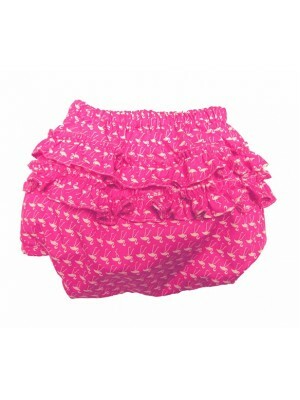 Cute frilly knickers in pink cotton print. Soft elastic and the waist and legs. Looks great under little dresses especially the Jasmine reversible pinafore dress. 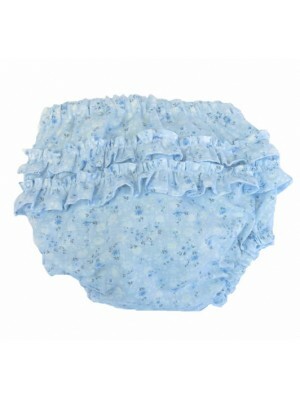 Fabric Content – 100% Cotton Garment Care – Cool machine wash ..
A pretty pair of frilly knickers that cute on any little baby. 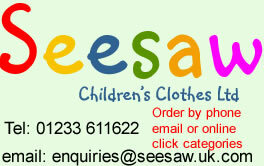 Matches perfectly with our Rosalie pinafore dress Fabric Content – 100% Cotton Garment Care – Cool machine wash ..